We've all been there. You might not like it, it might not be particularly good for you, but I'm sure we've all had it. FAST FOOD. 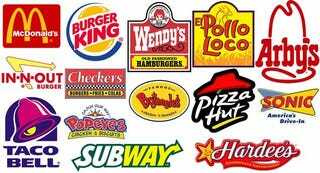 Now, the term "Fast Food" is pretty broad, so I'm going to have to throw down some limitations on what we can qualify to spark heated an ongoing discussion. For instance, these rules would disqualify anything like Five Guys or AppleChiliFriday. A. Which place really has the best fries? Feel free to share any stories you have about fast food as well— always something interesting to be said when it comes to FOOD. Great Food Debate will return to it's normal schedule next Monday. I posted waaay too much yesterday and don't want to crowd the space.